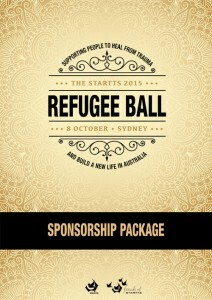 Thank you to all our supporters – sponsors, prize donors, volunteers and of course guests – without you the Refugee Ball would not be the wonderful event that it is! 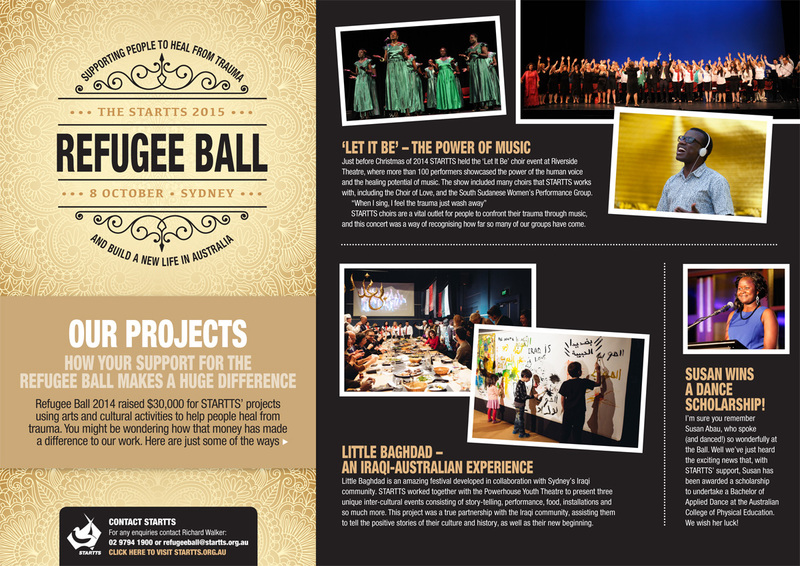 We’ll be updating this web page soon, but in the meantime you can read about the Refugee Ball on our blog or see photos from the night on our Facebook page. Introducing our keynote speaker – renowned orthopedic surgeon and Iraqi refugee Dr Munjed Al Muderis. 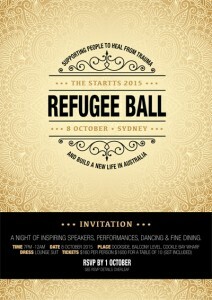 C Major and Son Veneno returns as our amazing Refugee Ball band. Stand-up comedian, radio announcer and all round nice guy Chris North will be back as our capable MC. Read the news here. A shout out to our amazing sponsors, an update on the latest prizes. Read the latest news email here. The Ball is undoubtedly one of the most diverse and multicultural events of its kind happening right now, with so many people from different walks of life coming together for the common cause of supporting our work with trauma survivors. How can I support the Ball? 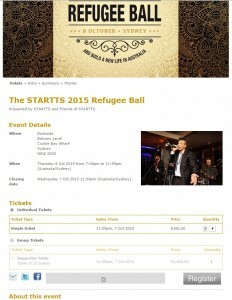 How is the money raised at Refugee Ball used?